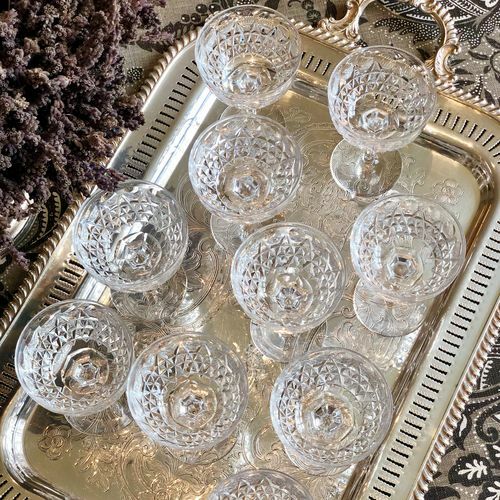 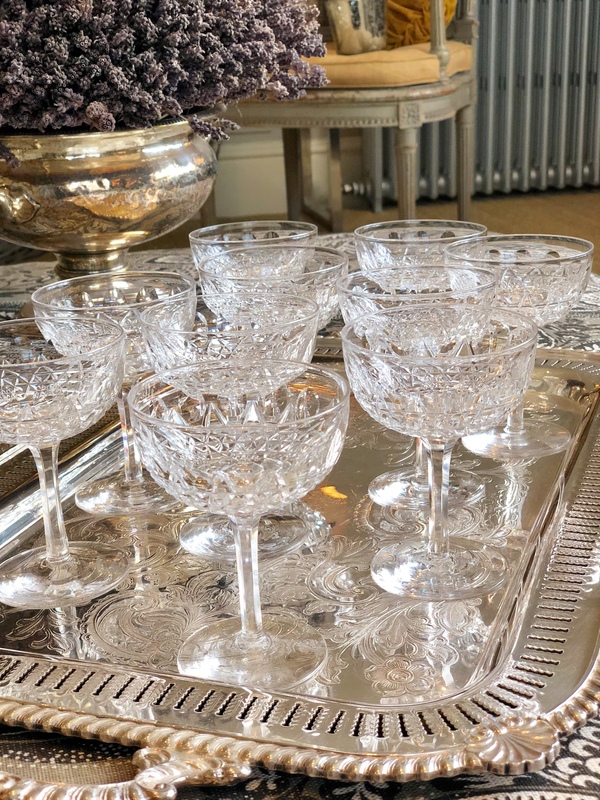 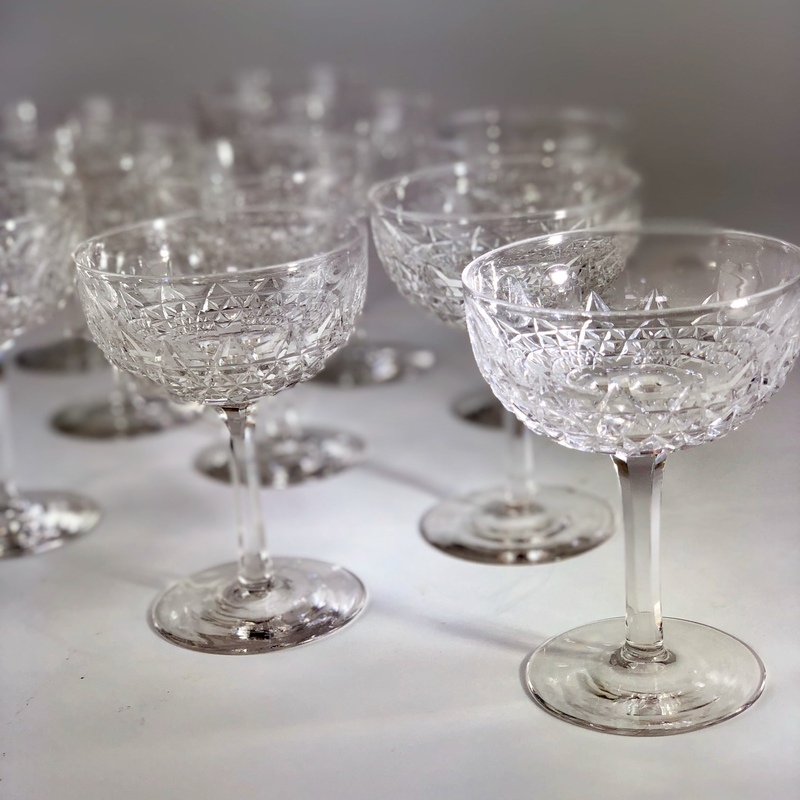 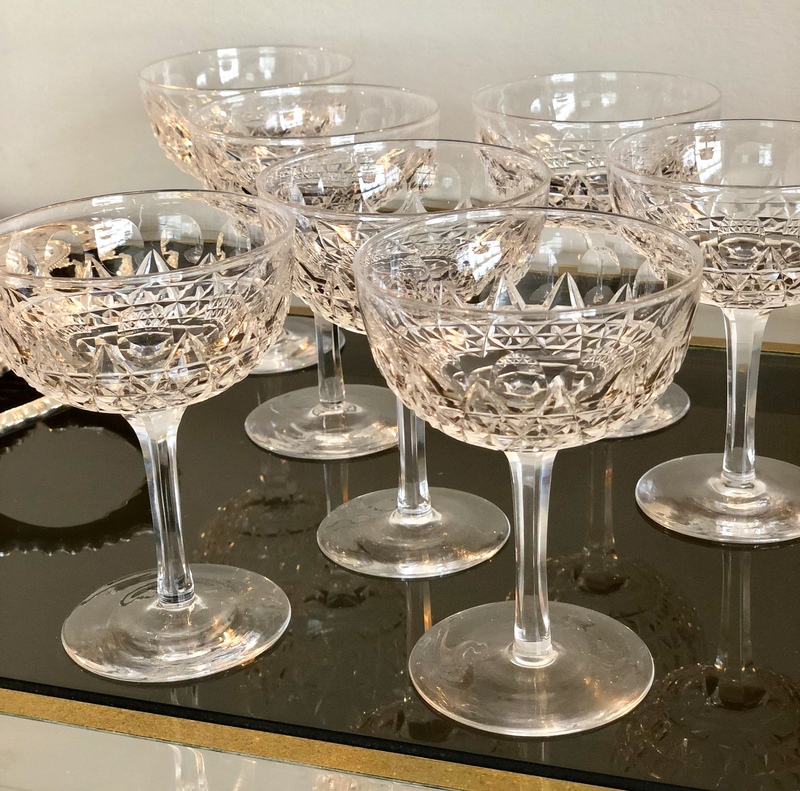 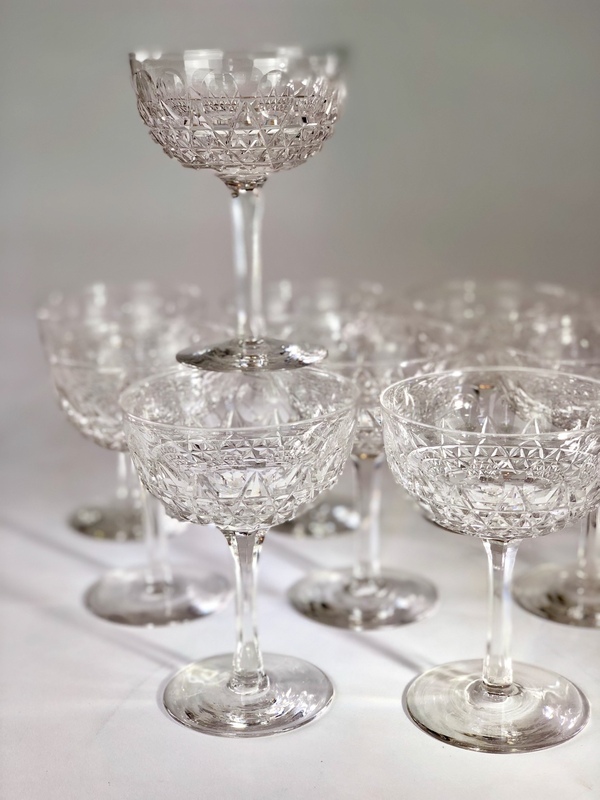 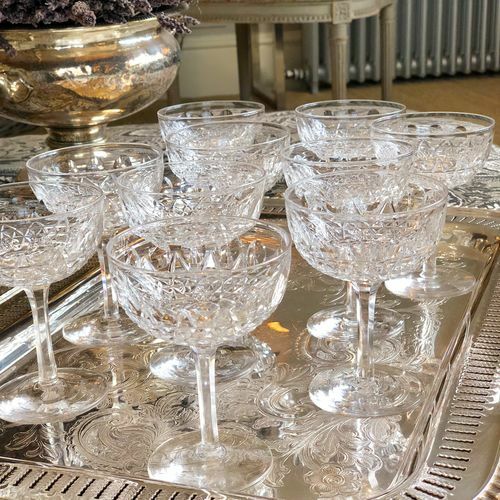 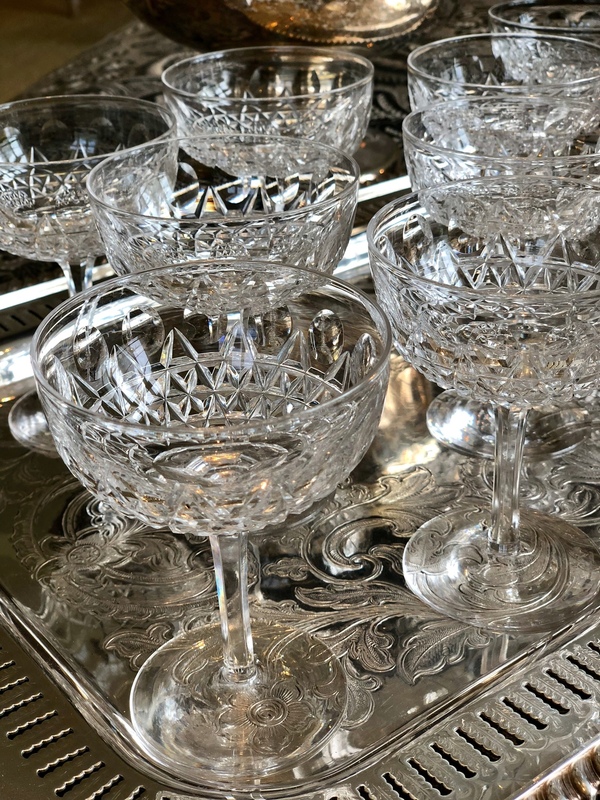 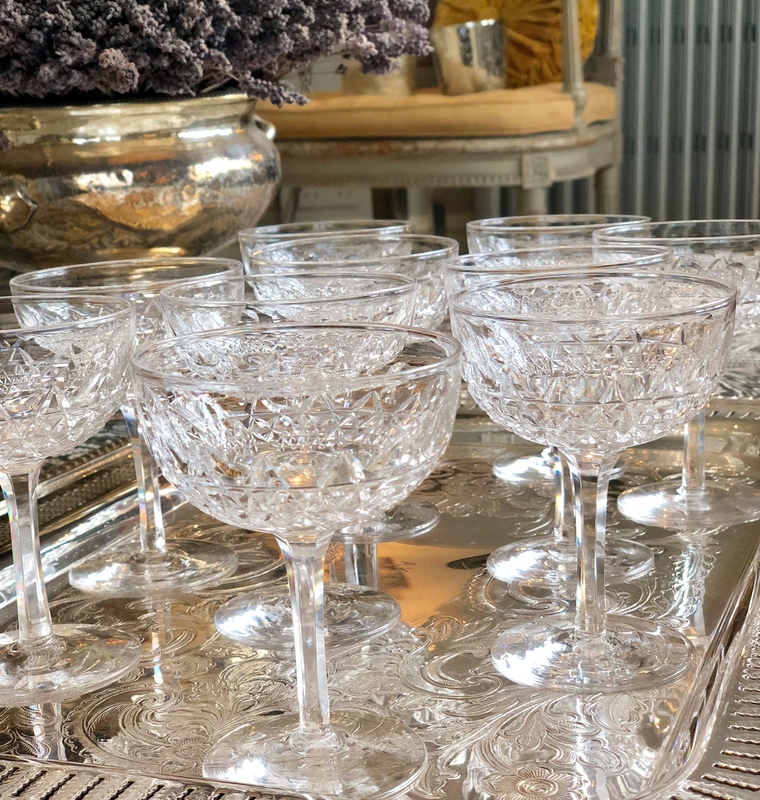 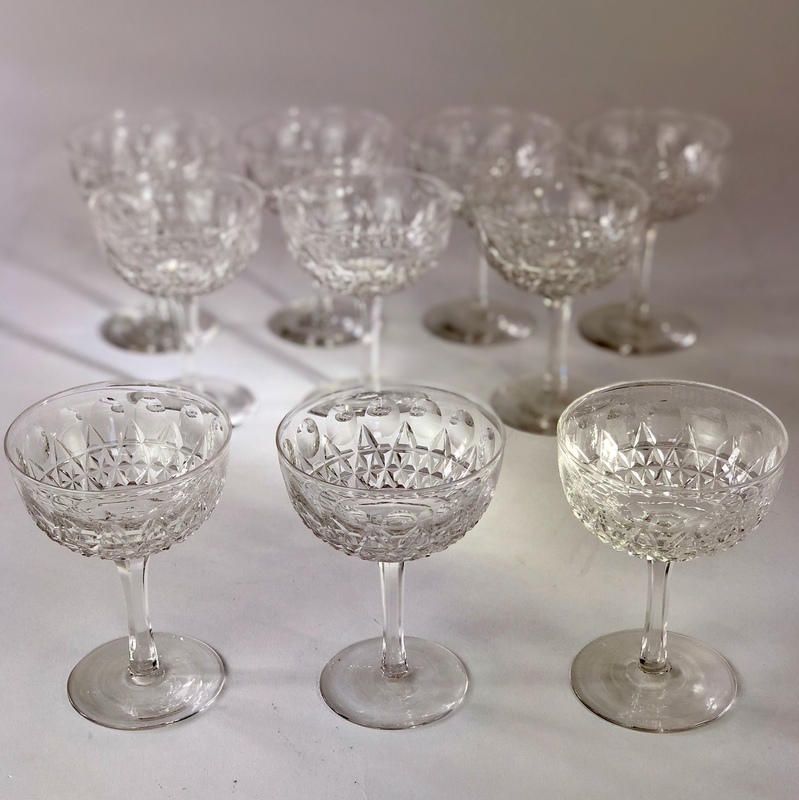 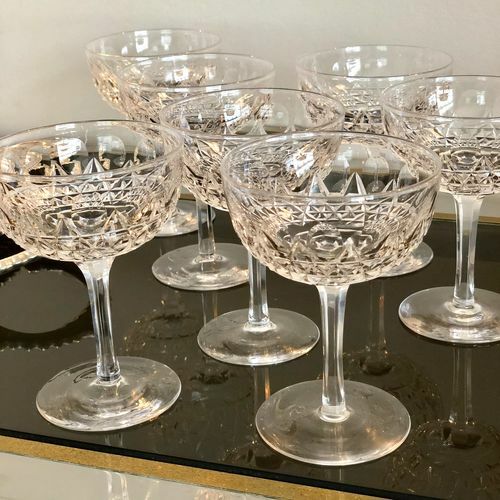 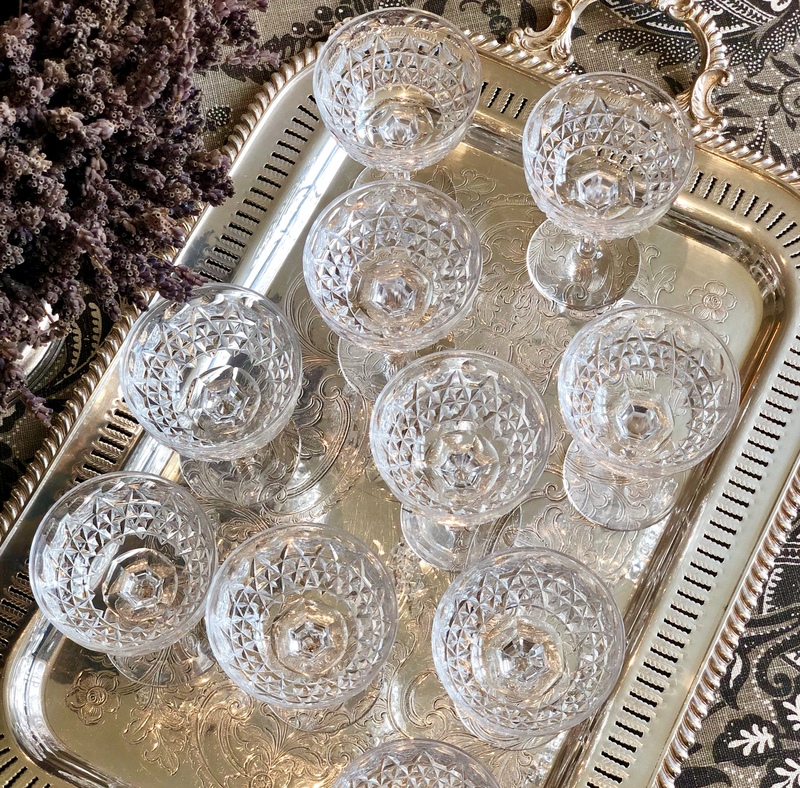 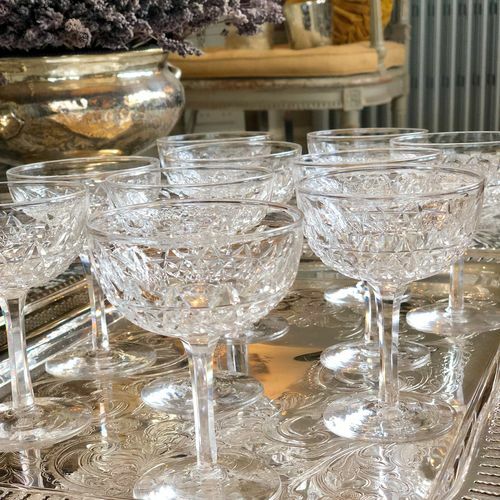 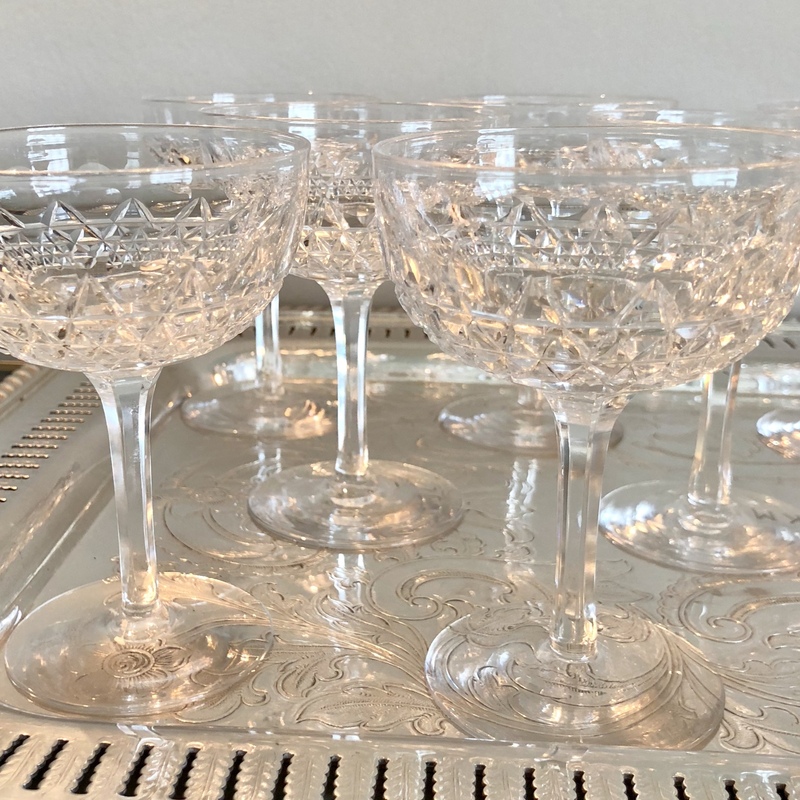 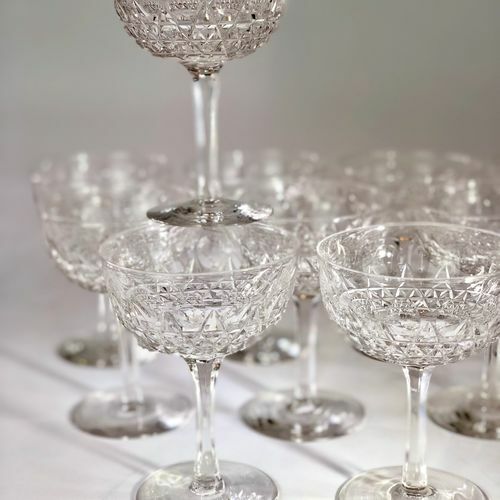 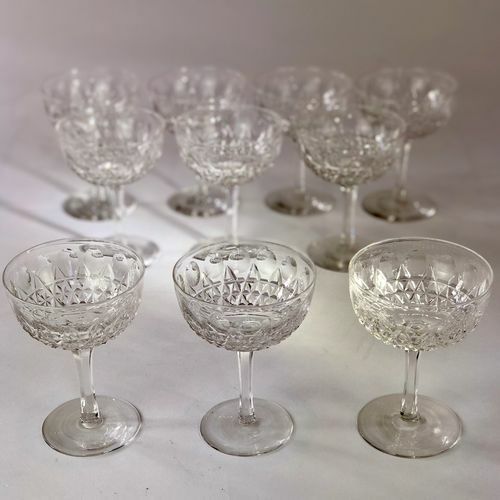 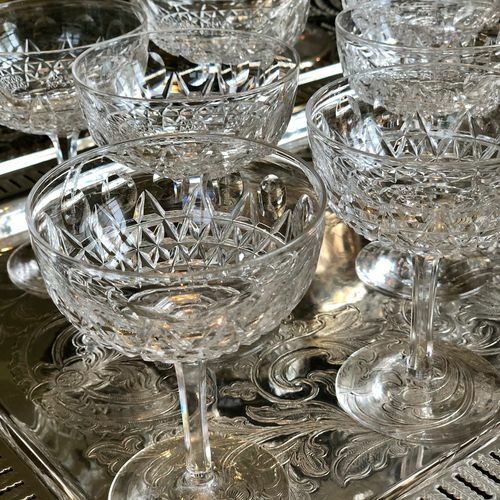 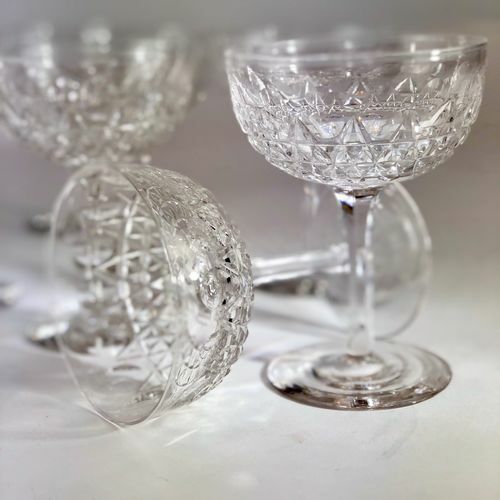 The most beautiful set of 10 finest English crystal champagne coupes, circa 1920/30s. 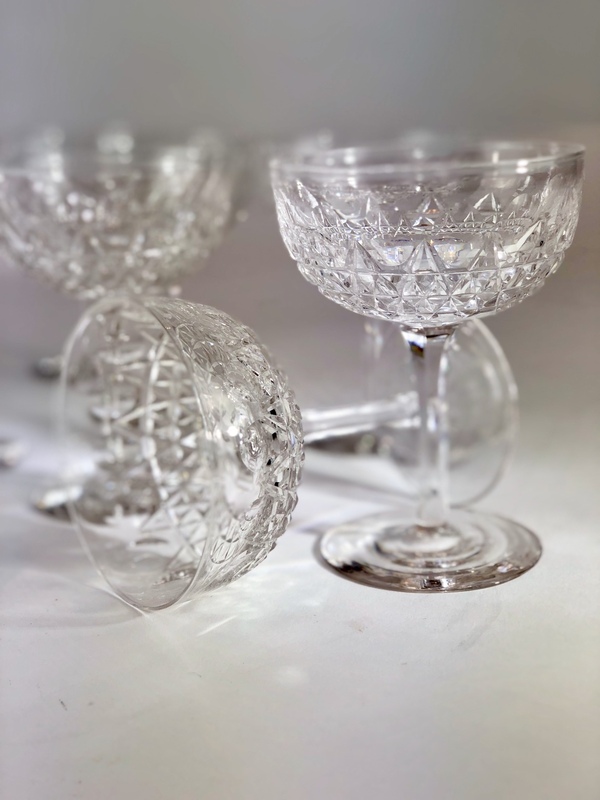 The bowl is nicely deep so would also make perfect cocktail glasses. Oh, the glamour of using these glasses!